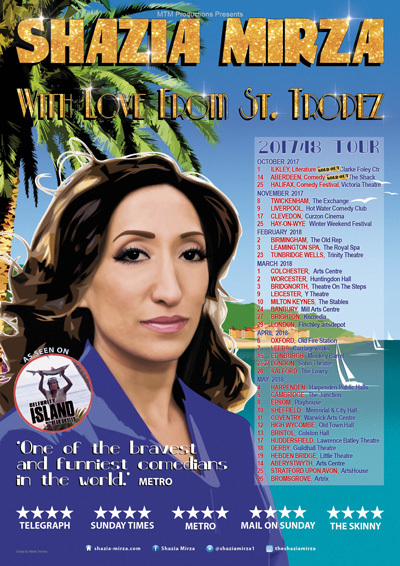 Following her critically acclaimed 2016, 103 date sell-out international tour; ‘The Kardashians Made Me Do It&apos; Shazia Mirza announces takes her brand new stand-up show on tour 2017/18. &apos;After starving to death on a desert Island, I&apos;ve changed my mind about a few things. I knew nothing about men before, I know an awful lot now. Men versus women, survival, and is anyone really an atheist in the middle of a Tsunami? Oh, and the answers to everything are in The Periodic Table&apos;.